​Elmwood Franklin School is an independent school and is fully accredited by the New York State Association of Independent Schools and is a member of the National Association of Independent Schools. As an independent school, EFS policies are set and supervised by a Board of Trustees. It is this body’s responsibility, with the guidance of the Head of School, to determine the school’s budget, to develop long-range plans, to provide leadership in raising non-tuition revenue and to promote the school within the community. Selection for this group is based on recommendation from the Committee on Trustees of the Board of Trustees. Members are elected for a three-year term, with an option for one additional three-year term. ​Cutler Greene has been a member of the Board of Trustees since 2011, serving on the Finance & Investment committee and leading the Buildings & Grounds committee. Cutler is currently a managing partner at Spaulding Greene Wealth Management and brings his 20 years of experience in the finance industry to this new role. He is also an active member of the Buffalo community, having served on the Buffalo Zoo: Pro Zoo Board and the Westminster Church Budget & Finance Committee. His two children, Charlotte and Cutler, are students at EFS. ​As an art educator, Terri Rich has long been drawn to EFS's focus on creative inquiry and individual learning styles. During her time teaching at EFS, she observed the tremendous benefits of small class sizes and was impressed with the individual attention students received. Since then she has chosen to volunteer at EFS in a variety of ways. In addition to chairing the Auction, Terri has volunteered on several committees including the Annual Fund, served as Parent Council President for two years, and remains involved in many ways. Terri and her husband DJ have four children all who have attended EFS since Prep I. David III, Hannah, and Alyssa are current students, and Madison, an EFS graduate, is a junior at SEM. Terri not only has an education background, but a good understanding of the EFS community and curriculum. She is committed to helping EFS thrive. Terri also serves on the philanthropy committee at Rich Products Corporation, where she works to help educate and better our surrounding communities. Terri received her BFA from Green Mt. College in Vermont and her Masters in Art Education from Rochester Institute of Technology. ​Barry Heneghan has served as the Managing Director, Business Development and Product Strategy, of First Marblehead, a leading provider of private student loan solutions for lenders, credit unions, and schools, since January 2011. From 1996 to January 2006, Barry held various positions at First Marblehead in the Business Development, Corporate Development and Product Strategy groups. From 1993 to 1996, he served as a Legislative Assistant to Congressman Jack Quinn (N.Y.). Barry received a BA from The George Washington University, an MA from Pennsylvania State University, and attended the London School of Economics. His two children, Lucy and Jonas, are students at EFS. ​Michele Lee is an active community volunteer and presently serves as a Director for the Patrick P. Lee Foundation, Board member of Buffalo Prep and Emeritae Advisory Board member of the WNY Women’s Foundation. Ms. Lee has a professional background in communications and spent 15 years at The Buffalo News in advertising and operations. Her son, Johnathan, is a student at EFS. Dr. Cyndi Burnett is an Assistant Professor at the International Center for Studies in Creativity at Buffalo State. She has a Bachelor of Fine Arts in Theater, a Master of Science in Creativity, and a Doctorate of Education in Curriculum, Teaching and Learning, all of which she uses to help “ignite creativity around the world.” Dr. Burnett was featured in an article in the New York Times titled, “Creativity Becomes an Academic Discipline.” She is the co-editor of the Big Questions in Creativity book series and co-author of the books Weaving Creativity into Every Strand of Your Curriculum and My Sandwich is a Spaceship: Creative Thinking for Parents and Young Children. Her two children, James and Emily, are students at EFS. 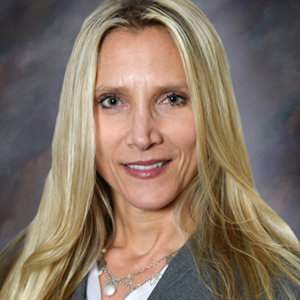 Catherine Beltz-Foley is a partner at Paul William Beltz, P.C., a leading firm in personal injury law. Kate earned a BA from Denison University, an MS from Boston University, and her JD from Case Western Reserve University. She is member of the New York State Judicial Screening Committee, New York State Trial Lawyers Association, LAWPAC, American Association for Justice, Erie County Bar Association, and WNY Women’s Bar Association. Outside of work, Kate serves on the boards of the Albright Knox Art Gallery, Roman Catholic Diocese of Buffalo Foundation, and the Bishop’s Council of Laity. She previously served on the boards of Nichols School and Hospice Buffalo. Her three children, Stephen, Maureen, and Claire, attended EFS. ​Darby Fishkin is the Chief Executive Officer at CBRE-Buffalo LLC and Comvest Consulting Inc. A CPA with over 20 years of experience in healthcare and government finance, Darby joined CBRE-Buffalo in 2012. Prior to being named CEO, Darby was the CFO and Director of Operations for the Buffalo commercial real estate firm, focused on implementing growth initiatives. In addition to Elmwood Franklin School, she also serves as a board member of Erie County Medical Center, WNY Women’s Foundation, and Compass House. Darby holds an MBA in Professional Accounting from Canisius College and is a member of the American Institute of Certified Public Accountants. Her two children, Devin and Ella, are students at EFS. 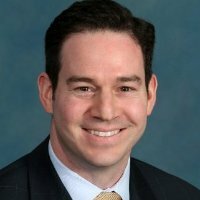 Jed Hunter is the Chief Operating Officer at West Herr Automotive Group, the largest automotive group in New York State. Jed received his bachelor’s degree from the school of engineering at Vanderbilt University and earned his MBA from the University of Michigan. 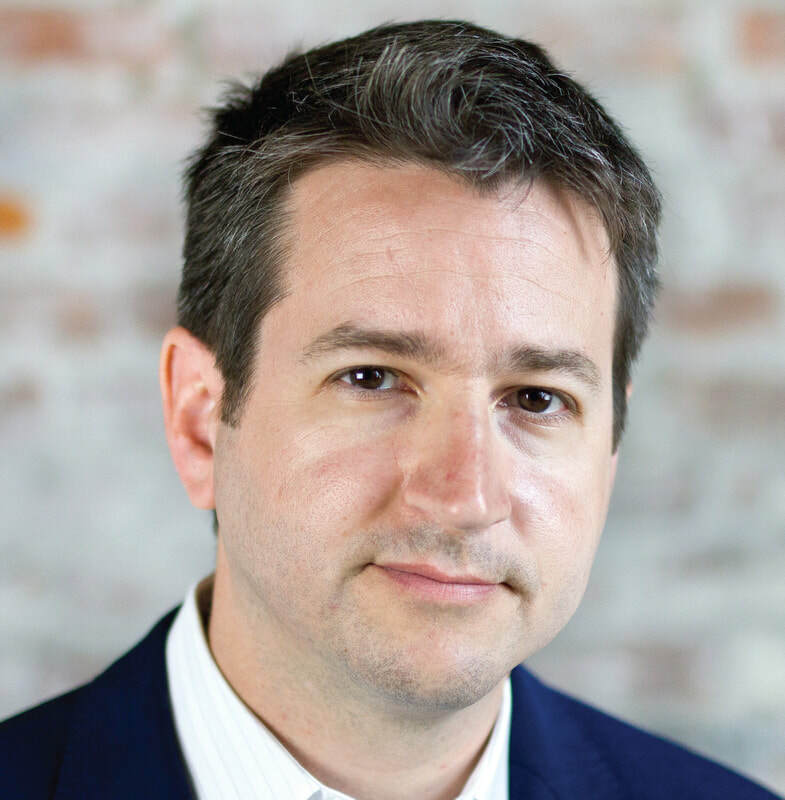 In addition to Elmwood Franklin School, Jed sits on the boards of the Buffalo Niagara Partnership (BNP) and Hilbert College, and he is a member of the BNP Leadership Development Committee and the Young President’s Organization. Jed is a private pilot, and in his spare time, enjoys running, skiing, and anything gas powered. His children, Ian and Holly, are students at EFS. 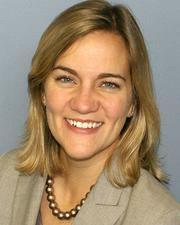 ​Betsy Constantine Janowski is Vice President, Giving Strategies at the Community Foundation for Greater Buffalo. She joined the Foundation in 2009 after 11 years in financial services in New York City. In her role as Vice President, Betsy provides overall leadership for the organization’s business development, client relations and communications efforts which includes working with private foundations, nonprofit endowments, individual clients, families and their advisors on strategies for giving. Betsy also serves on the boards of Child & Family Services, Child & Family Services Foundation, Leave a Legacy and WNY Planned Giving Consortium. Betsy earned a BA in economics from Franklin & Marshall College and an MSW from the University at Buffalo. Betsy’s son, Henry, is a student at EFS. ​Alon Kupferman is Administrative Vice President of Regulatory Affairs at M&T Bank. Alon has a BA from The George Washington University and an MBA from the University of Maryland’s Robert H. Smith School of Business. He also sits in the board of the Jewish Community Center of Greater Buffalo. Brian Lipke retired as CEO of Gibraltar Industries, Inc. in December 2014 and served as Chairman of the Board through May 2015. Brian started his career with Gibraltar in 1972, became President in 1987, and Chairman of the Board in 1993. He attended SUNY College of Technology at Alfred and the University of Akron. His two children, Katherine and Elissa, are graduates of EFS. 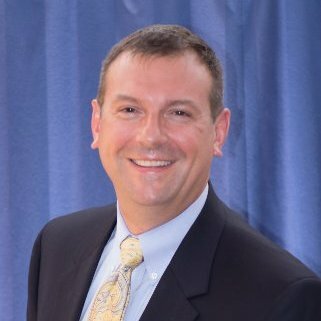 ​Greg Meyer is the owner and principle consultant of Business & Technology Consulting, Inc. and brings over 25 years of experience in auditing, accounting, and operations management to the EFS Board. Prior to joining the board, Greg served as the interim finance director for Elmwood Franklin. Greg maintains memberships in organizations both professional and civic, including the AICPA, CEPA Gallery, and Buffalo & Erie County Botanical Gardens. He previously served as the chairman of St. Mary of the Assumption RC Church's finance council which provided oversight to the parish school. Greg has bachelor’s degree in economics from SUNY at Buffalo and an MBA in Professional Accounting from Canisius College. ​Matthew Montante is Chief Operating Officer and Principal of the Montante Group of companies, which includes TM Montante Development, Montante Solar, and Montante Construction. TM Montante Development’s portfolio of projects includes the former Millard Fillmore Gates Circle Hospital as well as the 200-acre clean energy business park in Tonawanda, Riverview Solar Technology Park. In 2009, Matthew co-founded Montante Solar, a regional leader of commercial solar installations and in 2013, Matthew co-founded Montante Construction, which recently managed the transformation of the of the former Spaghetti Warehouse in the heart of downtown Buffalo into the Planing Mill Lofts. Matthew sets the strategic direction for the Montante Group of companies and is in charge of company operations, including development, design, operation, and integration of all project delivery systems. Under his leadership, the companies have significantly expanded their capabilities and their portfolio of projects, while entering new markets. After 16 years of living in New York City, Matthew recently moved back to Buffalo with his wife Mara, and two children, Jackson and Theo. Jackson and Theo are students at EFS. 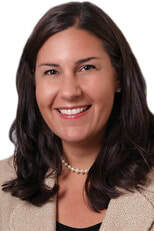 Amy Habib Rittling is a partner at Lippes Mathias Wexler Friedman LLP where she serves as the Litigation and Dispute Resolution Practice Group Co-Leader and manages the Labor and Employment Practice Group. Amy earned a BA from Boston College and her JD from the University at Buffalo Law School. She is actively involved in her community, currently serving on the boards of the Women and Children’s Hospital of Buffalo Foundation, Zoological Society of Buffalo, The National Federation for Just Communities of WNY, Foundation of the Roman Catholic Diocese of Buffalo, and the Buffalo Club. Amy is an ATHENA Leadership Award Recipient, a Women of Influence Award Recipient, and a graduate of Leadership Buffalo, and was named one of Buffalo’s “40 Under Forty” by Business First. Her four children, A.J., Haleigh, Bedie, and Kara, are students at EFS. Dr. Jafar W. Siddiqui is a Physiatrist, Interventional Pain Management at University at Buffalo Neurosurgery. He is Board Certified by the American Board of Physical Medicine and Rehabilitation and is a Diplomate of the American Board of Pain Medicine. With fluoroscopic guidance, Dr. Siddiqui treats and diagnoses many spinal conditions with interventional pain management techniques. Dr. Siddiqui has been awarded the Compassionate Doctor Recognition for 2013 by Vitals.com and was a 2011 Healthcare Top 50 Recipient by Buffalo Business First magazine. He is a member of the North American Neuromodulation Society, International Neuromodulation Society, North American Spine Society, Spine Intervention Society, and the American Academy of Physical Medicine and Rehabilitation. Dr. Siddiqui received his Bachelors of Science degree in 1992 from Michigan Tech University. He completed his medical coursework and earned a graduate degree at the University of Florida in 1995. He received his medical degree from Spartan Health Sciences University School of Medicine in 2003. He completed his internship and residency in Physical Medicine and Rehabilitation from Rush University Medical Center, Chicago, Illinois where he graduated in 2007. He then completed a two-year fellowship in Interventional Spine and Pain Management at Spinal and Skeletal Pain Medicine graduating in 2009. ​Nicholas B. Tzetzo, Managing Partner of The Tzetzo Companies LLC, has been a practicing attorney since 1999 and an active developer and manager in the multifamily residential and senior/healthcare real estate sectors. Nick received his BS degree in Political Science from the State University of New York at Buffalo and his law degree from Catholic University of America. His son, Blake, is a student at EFS. ​Peter Allen Weinmann is a partner at Wolfgang & Weinmann where he has been successfully representing corporate, industrial, and high-end residential taxpayers in challenging their tax assessments since 2000. He has been recognized by his peers for his professional achievement through publication in both Super Lawyers magazine and Business First's Legal Elite. He is a former Chair of the Erie County Bar Association’s Committee on Eminent Domain and Tax Certiorari; a former Vice Chair of the City of Buffalo’s Human Rights Commission (Commission on Citizen's Rights and Community Relations); former Trustee, Network of Religious Communities; and a member of the Judicial Screening Committee of the Erie County Democratic Committee. Peter has served on the boards of the American Jewish Committee-Buffalo/Niagara Chapter, Jewish Federation of Greater Buffalo, and Roswell Park Cancer Institute Development Committee, and is a member of the Leadership Buffalo Class of ‘99. He is a former state and federal prosecutor, and graduated from the Nichols school. Peter received his undergraduate degree from Case Western Reserve University, his law degree from Benjamin N. Cardozo School of Law, Yeshiva University, and a Master in Public Administration from the Harvard Kennedy School. ​View the BY-LAWS of ELMWOOD FRANKLIN SCHOOL, INC.